Everyone wants to invest in a home that provides them the warmth along with complete facilities in the vicinity. Chandigarh is considered one of the best cities in India owing to the world class infrastructure that it maintains. When you have builders like BlissOrra working on creating some of the finest abodes for people, then a multi-facilitated, and advanced structures are bound to create a strong impact not just on the city’s development but on the country’s economical growth as well. Bliss Orra is one of the best amongst the building companies that is well known for developing high quality luxury flats in Chandigarh. Set on the country side, the place offers serene environment on the outside and elegance and conviviality on the inside. Their vision that is to create and build a better life is fast coming into action with the development that they are doing in Chandigarh. The company is providing 3 bhk apartment to the residents that are furnished with the top most accessories and fittings and fixtures. The other luxury provided consists of swimming pool, Club House with Gymnasium, CCTV Security, Walled Gated Community which is an important factor now a day, 24 Hrs. Water, Fire Fighting Systems, Landscaped Gardens, Lawn Tennis & Basket Ball Courts, and a lot more. They have some of the best people working on their team who plan out and execute the smooth functioning of all these facilities offered. In the inside of apartments, Bliss Orra builders supplies with vitrified tiles on the floors of Drawing/ Dinning /Bed Rooms, modular switches with safe wiring, modular kitchen with cupboards & storage granite top with stainless steel sink, the kitchen top tiles up to two feet above counter which is not available in the best of the townships even. In the washrooms they have given ceramic tiles of considerable height, and branded sanitary fixtures. The doors and windows are made of high quality hard wood/PVC. 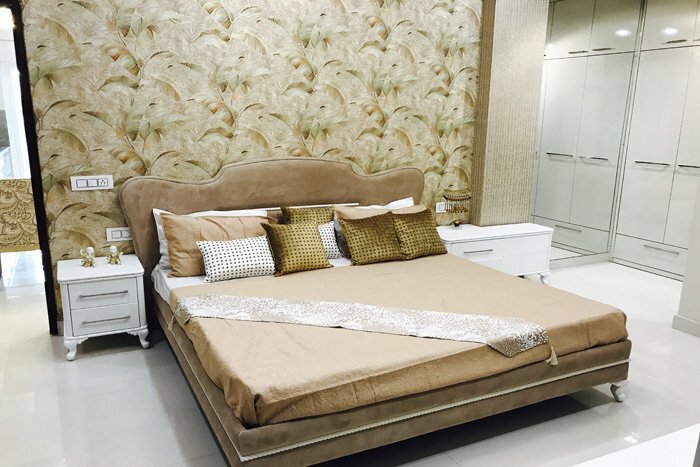 The builders are offering 3 bhk flats in Zirakpur that is strategically located and is at a very nominal distance from the main city of Chandigarh. International airport is at 10 minutes of distance and railway station at 15 minutes. The place is well connected to the bets of the restaurants, shopping malls, and educational institutes. All these amenities make the new development an attractive one, and is likely to be sold out pretty quickly. While they maintain high standards of architecture, they make sure the residents are set to spend their lifetime in those homes. Located at the Motiaz royal citi, these flats are of premier quality. With 10 years of experience in building and development, they have been satisfying the clients with top notch construction and amenities thereof. This is their newest project, apart from Bliss Homes, Bliss Avenue and City Pride. It’s created in a well guarded gated community that is the need of the hour and helps you lead a carefree lifestyle. Hospitals, Utility stores, eateries, all are at very less distance. Due to all these reasons, they have considerable high rates but its all worth the investment.